Our recent article on prepping with Type 1 Diabetes (T1D) was well-received, so here’s some more food for thought (totally carb-free!) 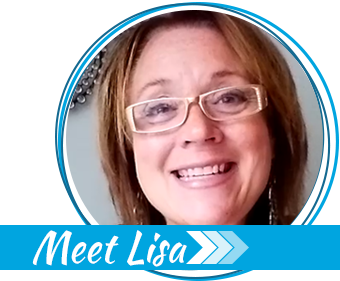 as you prepare for an insulin-dependent loved one. If you missed the initial article, you can read it here. If T1D is not part of your daily life, scroll to the end for some diet-friendly recipes that could help you reach your fitness goals. 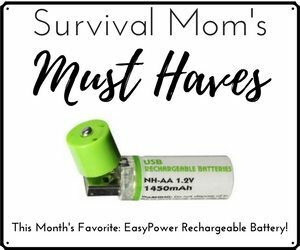 Again, I do not claim to be a doctor or expert—just a T1D momma passing what I’ve learned online and through experience. 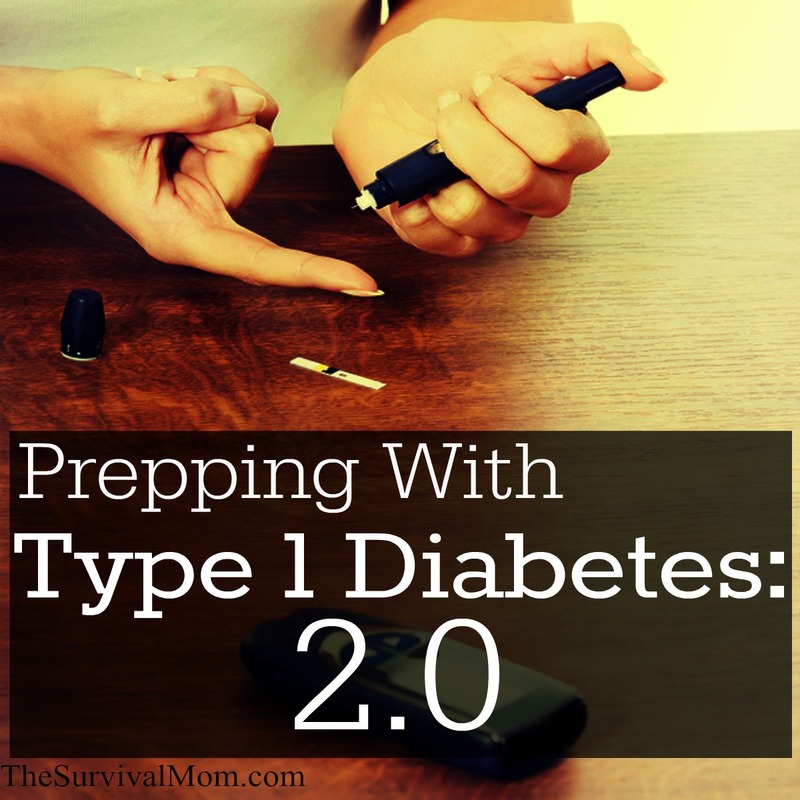 Prepping with diabetes as become a part of my family’s life. Do with this information as you see fit. Originally, I assumed that vial or pen insulin is not vulnerable to EMP because it doesn’t rely on the electronic components that a pump uses. However, I stumbled across this government study indicating that exposure to EMP renders insulin in any form less effective. Should that change how we store insulin? Yes and no. I’ve spoken to an electronics expert who believes that since insulin is stored in a refrigerator, that barrier is pretty good protection. But he also said it couldn’t hurt to keep pens in their original cardboard box and wrap that box in aluminum foil just in case. I’ve decided that any insulin I carry for daily use may have to be discarded if exposed to EMP, as none of the carrying cases on the market are made from Faraday-like materials. 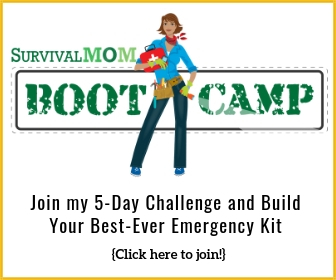 If you’re concerned, consider making your own EMP-resistant pouch for everyday insulin carry. Some helpful readers suggested purchasing the cheaper animal insulin with no prescription from Wal-Mart. This over-the-counter insulin is called Nph, but it has not been approved for children under 12. When you’re prepping with diabetes and kids, it is important to understand the way FDA approval works. First, a product must be approved for adults. Once that occurs, trials can begin for approval for kids, but that can take upwards of 5 years. None of the insulin pumps recommended by our children’s hospital have been approved for patients under 16, but the diabetes team recommends them even for toddlers, who fare very well. Only you can decide if less-than-perfect is better than nothing at all if cost renders those your only two insulin choices. Personally, I’m much more comfortable considering an approved option for children. Humulin R has been approved for children and is supposedly available without a prescription. I have not attempted to purchase this insulin over-the-counter. Even at retailers like CVS the drug is marked “over-the-counter” but you can’t add it to your online basket unless you “refill a prescription.” I’d be interested to hear whether any readers have been able to successfully purchase it. Keep in mind that this particular brand has a 1-year shelf life at room temperature and seems like a pretty good option in an SHTF situation. Under normal circumstances doctors discourage changing insulin brands without their approval and monitoring. But again, if stocking up depends solely on which type you can afford, only you can decide whether off-brand insulin is better than nothing. Perhaps now is the time to talk with your healthcare provider about switching to a less expensive brand so you can make the change under medical supervision. I investigated Humulin heavily because I ran across an article about Freezing insulin—something most manufacturers warn against. While this article isn’t the same as a clinical study, it’s something to think about if you want to stockpile more insulin than can be used in a single year. Maybe check with your doctor to see if he or she would be willing to help you experiment with frozen insulin. Again, these are very personal decisions and risks—ones I’m not personally willing to take with my child. 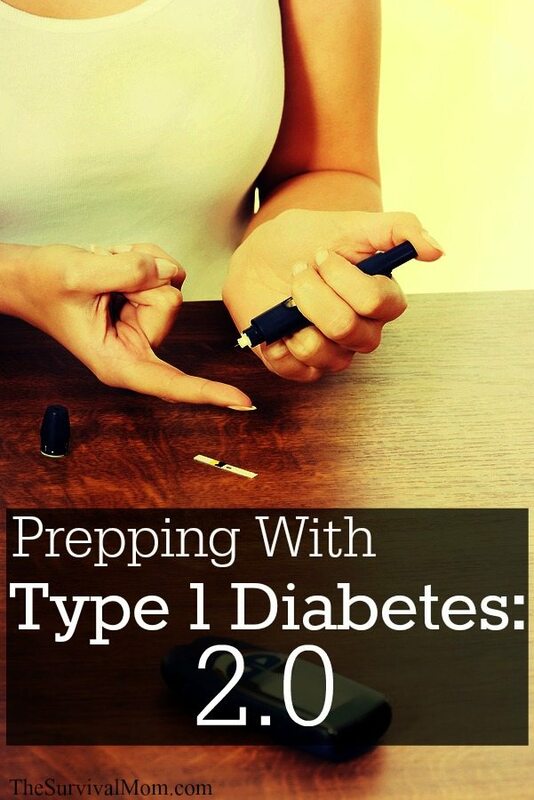 But as an adult in charge of my own body, I might contemplate it as one more measure for prepping with diabetes. The National Library of Medicine contains a complete list of plants that either mimic insulin or stimulate beta cells to produce insulin. Though I don’t know many of them, I do already keep aloe and stevia plants. Dr. Bones over at Doom and Bloom published a list of natural substances that are supposed to lower glucose. It’s an interesting compilation, but it does not include links to clinical studies and mostly references experimentation with Type 2 patients. If you’re interested, it’s worth further investigation. Fig leaves also look promising in reducing the amount of insulin needed at mealtime, as do walnut leaves. Homemade beef jerky. Lots and LOTS of beef jerky. 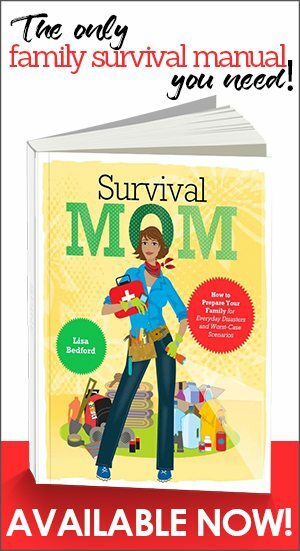 I loved this guide to replacing store-bought items with homemade versions, so I wanted to encourage T1D caregivers to try it, too! Diabetic-kid tested; A1C-approved. Mix baking mix and flax meal together. Beat the eggs and milk, then add to the dry mixture. Drop ¼ cup mix on a 300˚ griddle and add 15 chips to the top of each pancake. When bubbles form in the pancake, flip and cook until golden brown. Makes 24 pancakes; 12 carbs each. We like to add peanut butter and sugar-free syrup. (Without chips, 10 carbs per pancake.) They freeze and reheat quite well. Mix shortening, sugar, milk, and vanilla. Stir in egg. In a separate bowl, combine baking mix, flax meal, salt, and baking soda. Mix into creamed mixture. Add chocolate chips. Drop by tablespoon 3 inches apart onto ungreased baking sheet. Bake a 375˚ for 8 minutes. Ours made 2 dozen, approximately 16 carbs each. I am searching into this Gymnema sylvestre and am looking at purchasing the leaf powder. What is the recommended dose? Some type 1 diabetes cases are linked to magnesium deficiency, and the pancreas resumes normal function once that’s been cleared up. Not all cases, just some, but it’s worth a look. I’ve checked several pharmacies and online stores but could only find Beta Fast GXR on amazon. Is there another place you have found this? Hi Kris, it seems like you’ve finally reached the stage of the type 1 dx. where you “can breath again” My grandson was dx’d 8 years ago, when he was 5,we were very lucky (and Thankful to GOD) as he only spent 1 week in the hospital & has not been hospitalized since. We have a good support group of family here, and went “into overdrive” thinking, planning, figuring & prepping. It’s overwhelming to say the least. We made a family pact that he would be a little boy first and foremost & have type 1 second……yes, things changed & we changed, everybody carries snacks for highs. snacks for lows & water in a cars, we all know how to react to severe lows etc. As he got to be 12 then 13 and now almost 14,we had to “let go of the reigns” a bit, we no longer “watch” every move, he goes fishing, bike riding, & rides his horse by himself……..but carries a radio…he knows if he goes low, he goes to the nearest house. It helped when we settled down, made a plan & enacted it…….helped all of us ALOT !!! One thing we “refused” to change was his “garden grazing” (he’s always been a garden grazer!) He just has to do it within reason now (we all know how teen age boys can eat)We’re now where we feel we’ve done most of what we can do,(prepping wise) but keeping on top of it the best we can. My prayers are sent your way, and know that you can do it, the LORD knows and provides a way!!! Hi Kris….I have looked into Novalin R, which is a medium acting over the counter insulin. I get mine at Walmart and it is 24.00 per vial. I am using that to stock up along with Levimir. Novalin R has to be given about 45 minutes before the child eats, but stays in the body 5-6 hours..which makes it a great meal time insulin if you can time it right. Thank you so much for your article about type 1 diabetes! I have had it for almost 39 years now. My spouse and I have had “the talk” about running out of insulin and its a scary thing to think that you can be the best at being prepared at everything else but the one thing that really keeps you alive you can’t get. We are working on trying some of the non prescription insulin and freeze it to see how good it is after unthawing it. I also saved the list of plants,etc that works/helps insulin. Thank you for all your knowledge and for writing this article!